As we welcome 2016, SAM nears its 83rd anniversary as an institution. It’s an organization with a rich and, at points, dramatic history. From its early years SAM has also shown a commitment to being part of history as it develops—not becoming a place where we all gawk at history as it gathers dust. Our founding director, Dr. Richard Fuller, set up a regular exhibition program for living Northwest artists. Much of the gallery space at the Asian Art Museum in Volunteer Park was, in the museum’s formative years, a site for rotating displays of contemporary work. 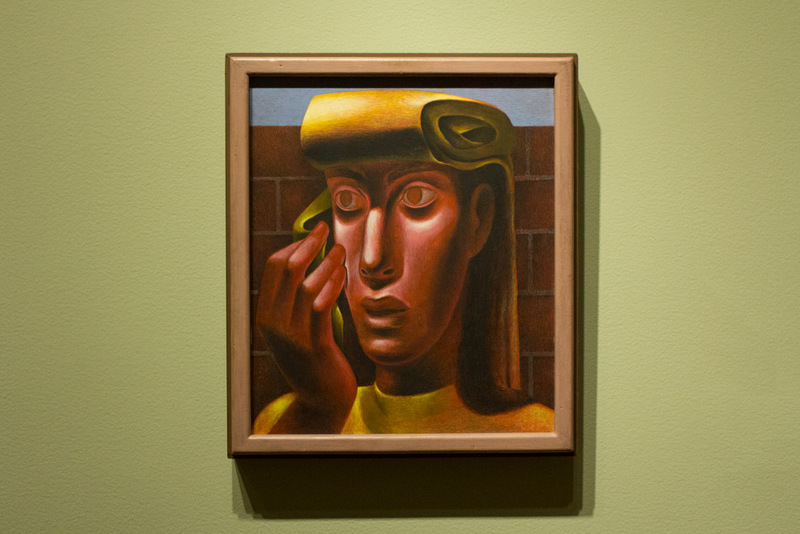 Often Dr. Fuller would purchase a painting from a show on behalf of the museum, using money from his own pocket, but representing the museum, and later very informally accessioned it into the permanent collection. For the artists he deemed worthy, he provided complementary display space and buying power via SAM. In addition to his role as an important patron to Northwest artists—notably Mark Tobey, Morris Graves, and Kenneth Callahan—Dr. 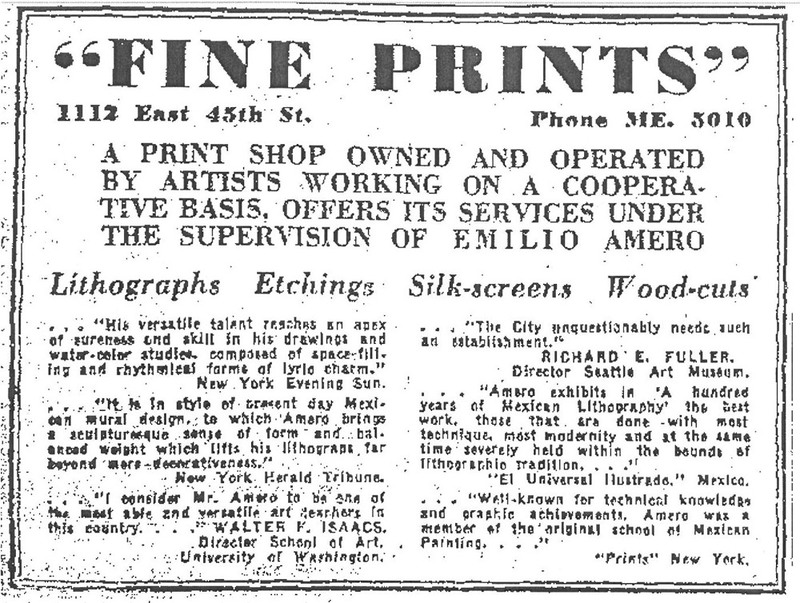 Fuller also worked out agreements with some artists to support them through living stipends. 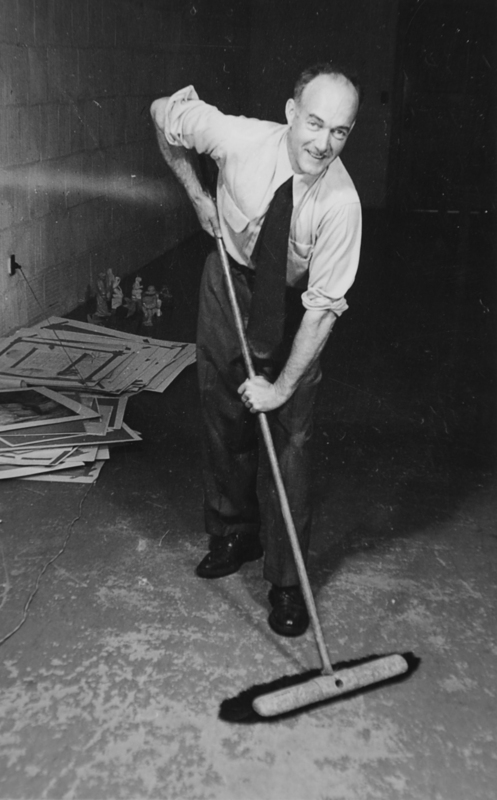 He employed some of them, like Callahan, to help him at the museum with installing, packing, and shipping art, or promoting shows in the local papers. In the photo above, a smiling, sweeping Callahan oozes appreciation—and he should! 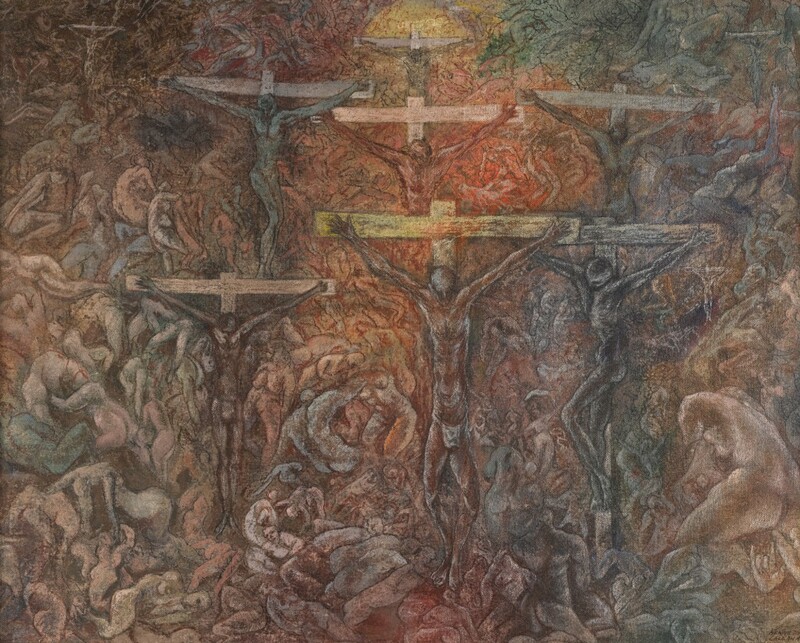 While employed by SAM, and with the financial and emotional support of Dr. Fuller, he produced powerful work like First Seed into the Last Harvest (1943), a favorite of mine in Pacific Northwest Modernism. Our current director, Kim Rorschach, continues to encourage SAM’s engagement with contemporary art. One acquisition representative of her time at the helm is Lynette Yiadom-Boakye’s Trapsprung (2013), a remarkable oil painting that’s currently hanging in the Brotman Forum near our admissions desk. In the picture, a life-size ballerina emerges from a flat background, full of dynamism and grace in her movement. Born in 1977, Yiadom-Boakye is a British artist of Ghanaian descent. In her work, Yiadom-Boakye is interested in making interventions in history and reality. Her work features human figures and can be called representational in that sense. The figures are almost always people of color, and they are always posed actively, portraying self-confidence, and not passive presences. They’re figures, but they’re not exactly portraits: Yiadom-Boakye works using her imagination rather than representing specific individuals from life studies or photos. 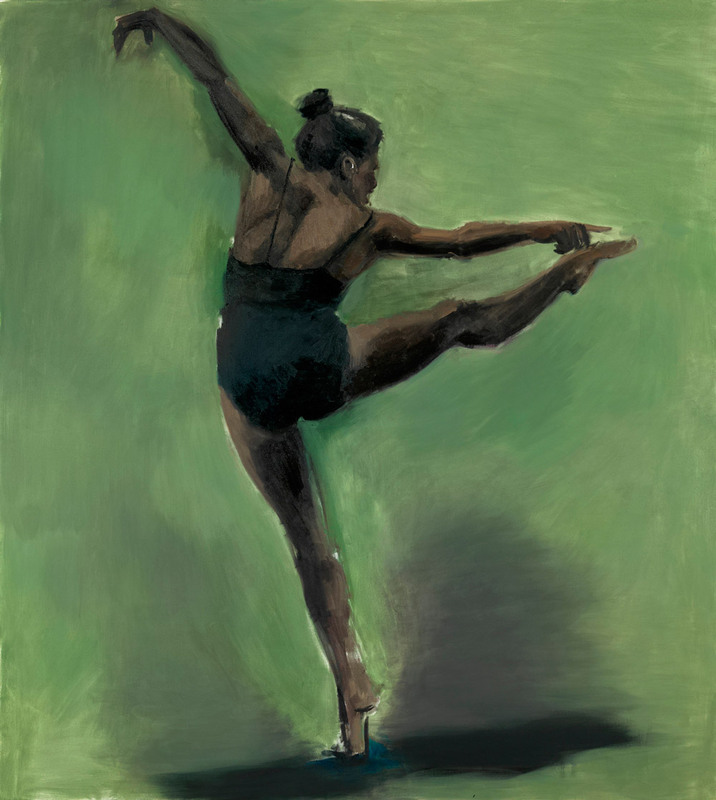 What makes her work especially compelling is her desire to insert people of color into monumental paintings (and the sometimes exclusive stories that have traditionally played out there), such as her ballerina in Trapsprung. She’s writing a new history, an inclusive one, and it’s freshly assertive, exciting, and imaginative. Here’s to all that we know 2016 holds—including a blockbuster show for another artist interested in new histories, Kehinde Wiley—and to what we have yet to discover! Images: Trapsprung, 2013, Lynette Yiadom-Boakye, British, b. 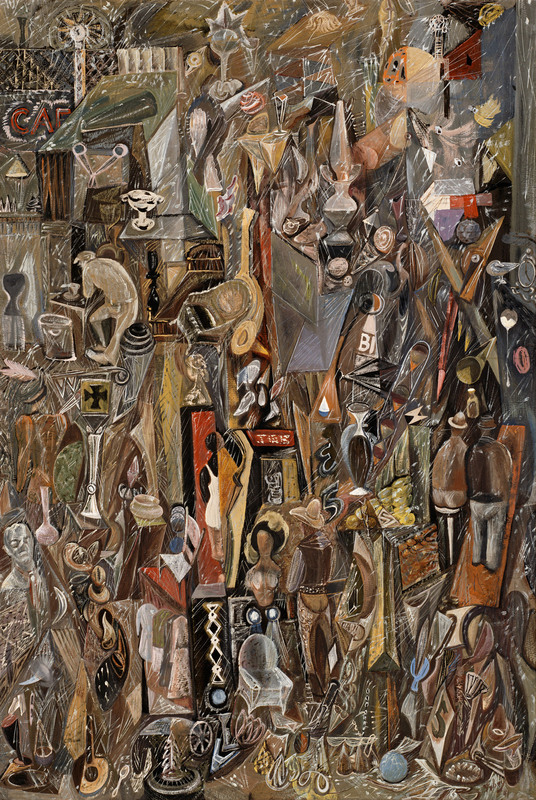 1977, oil on canvas, 78 3/4 x 70 7/8 in., Seattle Art Museum, General Acquisition Fund. Seattle Art Museum Archives. First Seed into Last Harvest, 1943, Kenneth Callahan, American, b. 1905, tempera on canvas, 14 1/2 x 18 1/4 in., Seattle Art Museum, Eugene Fuller Memorial Collection.